Did you know that almost all airlines offer a free bassinet for infants? Even after taking hundreds of flight over the past few years, I had no idea that these baby bassinets even existed! 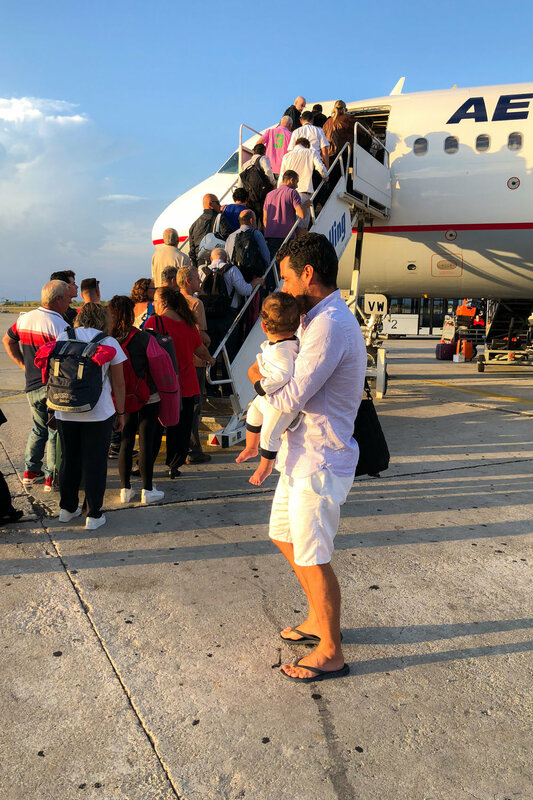 Essentially, these bassinets are little boxes that attach to the wall of the plane, where you can place your infant for the duration of the flight — and best of all these are offered for free on most major airlines! Our first flight with Axel was when he was three months old, and we flew from Amsterdam to Dubai. The bassinet was a life saver, as it gave him a comfortable place to lay flat, and sleep for the entire 6 hour flight. 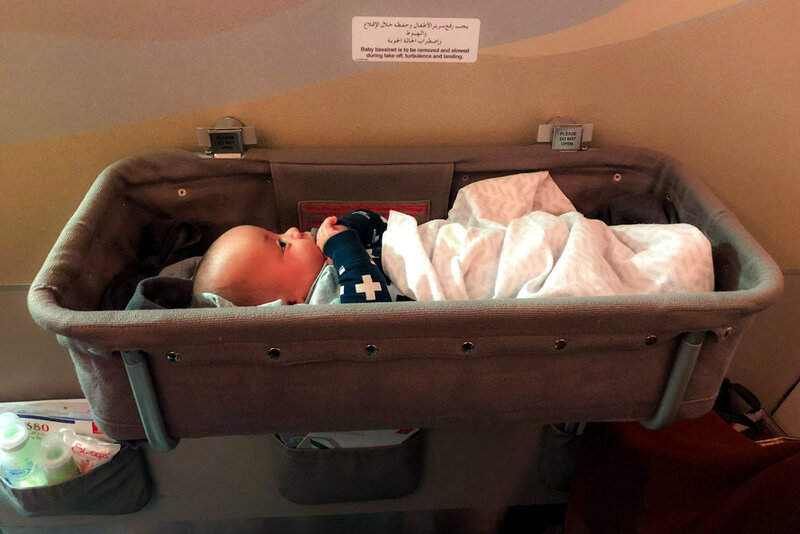 Now granted it was on Etihad airlines (one of the best airlines we’ve ever been on), but since, I have found that every flight we’ve been on offers a bassinet, that clips onto the bulkhead. They don't even have to have their own seat. Now they can only use the bassinet up until they’re about 6 months old, but still, it was a lifesaver on those long flights! You might have to pay extra to be in that exact seat and they are on a first come, first serve basis, so make sure to book yours in advance. Once Axel got around six months old, he outgrew the bassients, so it was time to start getting him his own seat for long flights. Ok, yes, children can technically fly for free until they are 2 years old — but really do you want to be stuck on an airplane for 5 hours with a squirming 1 year old on your lap? No? Neither do we! So now, anytime we take a flight longer than 2 hours, we buy Axel his own seat — not only does it give him room to move around, play and sleep peacefully, but it also makes us much more comfortable. If you’ve purchased a seat for your little one, we highly suggest buying a Plane Pal. It’s essentially a blow up mattress that slides in between your seat and the seat ahead of you, turning the seat into a flat bed. We fell in love with our Plane Pal during a 11 hour flight from Amsterdam to Los Angeles. It allowed Axel to have a comfortable place to stretch out and sleep, and when he was awake, it gave him extra space in his seat for playing. It rolls up really small, and comes with a little pump to make inflating the Plane Pal a breeze. As soon as you get to cruising altitude, you can inflate it up and just like that, your babies seat has turned into a bed like area. Flying with a toddler? Get them their own seat! Look for items that fold up for easy traveling! Before we knew collapsible strollers existed we would lug our entire stroller system with us from airport to airport. 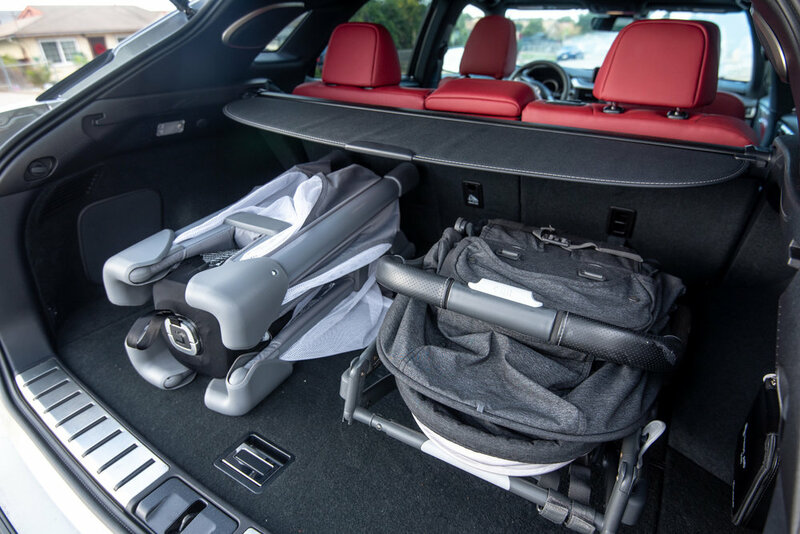 It was a pain to carry around, so you can imagine how excited we were, when we learned about collapsible strollers, that could open and close with one swift movement. I didn't realize the importance of this until I found myself walking down the stairs with Axel in one arm and only one free hand to open the stroller. Our MINU stroller by Uppababy has been with us in Greece, Netherlands, Croatia, Switzerland, and so many more places. If we’re staying in a hotel room that’s quite small, it doesn't take up much room, it can fit in any car and it’s so light weight that you can carry a baby, a diaper bag and other items all at once! When we travel, we often stay in hotels where they provide a crib for us — however, if were staying with friends, or in an AirBnB, then our Breeze GO Playard by 4Moms is coming with us. 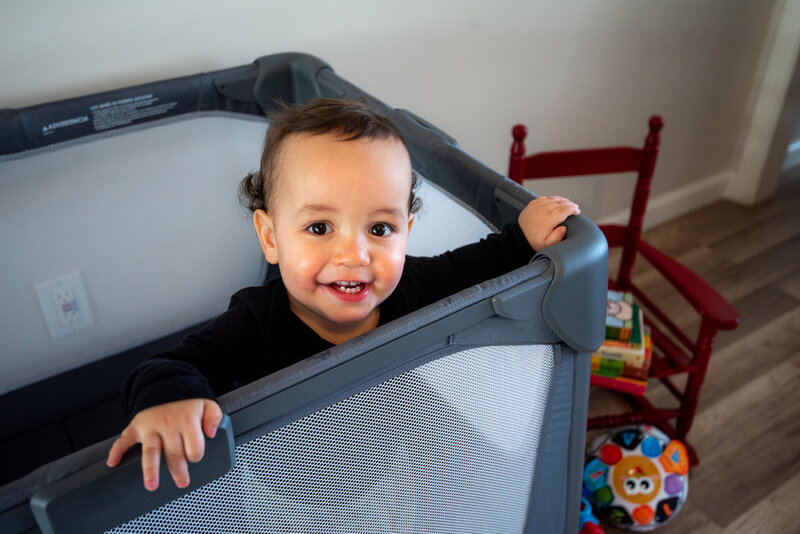 This Playard really does double duty for us, functioning not only as a comfortable bed for Axel to sleep in at night, but also as a safe little play area for during the day. I can’t believe how small and light this folds up and how comfortable it seems to be (Axel sleeps through the night in it, so that’s what I go by). Also I can open it by one push and close it by one pull...seriously who comes up with these things! On the first trip we took with Axel we had an entire carry on bag full of food for Axel. We had several canisters of his formula and somewhere around 40 packs of pureed food...I know, it was a little overboard. We did all this, only to find out that the country we were in had the exact same food, so we could have easily bought things as we needed it. So now we research beforehand, to see if different countries carry our brand of food, or if there is an equivalent. Also, we have stayed at 3 different hotels (in 3 different countries) where the concierge have found Axel's food beforehand and had it in our room at arrival. So definitely talk to the concierge before your trip, you never know! Now the same goes for diapers. People all over the world are having babies, and guess what they all usually use diapers, so you might not have the exact brand you’re used to, but rest assured you’ll always be able to find diapers! Now we only pack enough diapers to last 3 - 4 days. This is perhaps my best piece of advice, get a babysitter at least once during your trip. Seeing the world from a babies perspective is fun, but that only lasts so long. 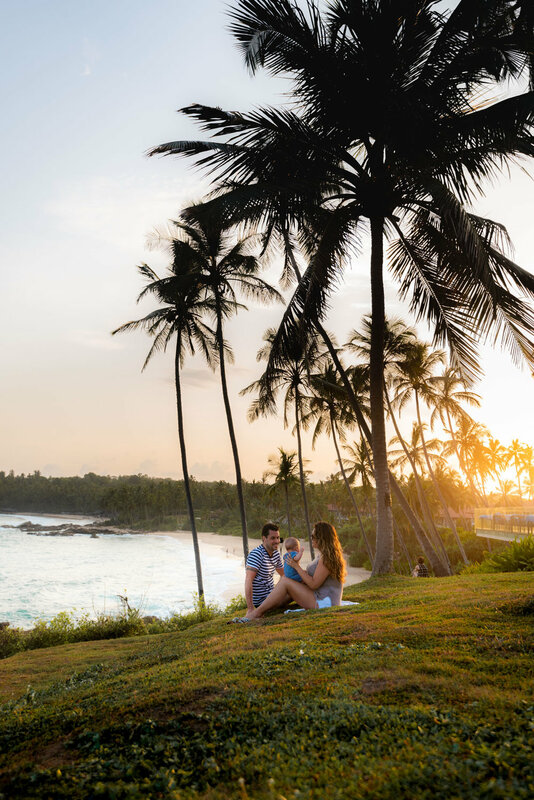 You’ll want to get out and explore the town as an adult, without having to worry about your little one and even enjoy a glass, or two, or three of wine. Do you research before hand and find a service you feel comfortable with. If you’re staying at a nicer hotel, feel free to ask the concierge if they can recommend a babysitting service — normally they can, and many hotels even have agreements with reputable sitters who will come to the hotel and watch your little one in your room. In fact, we’ve done this in both Dubai and London and had amazing experiences!